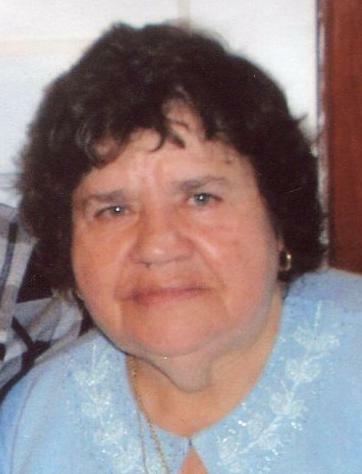 Maria Sara (Bernardo) Faria, 82, formerly of Barnaby St., wife of the late Jose M. Faria, passed away, Saturday, April 5, 2019. She leaves her children, Jose M. Faria and his daughter, Angela Beveridge; Maria DeSilva (Anthony) and their children, Eric Cabral, Brian Cabral and Anthony DeSilva; Analia Matos (Manuel) and their son, Kenny Matos; the late Manuel P. Faria, his children, Manuel P. Faria, Jr., Timothy Faria and Linda Perreira: Regina Amaral (Americo) and their children, Americo Amaral, Jr. and Andrew Amaral: Silvino Faria (Sharon Borgess) and their son Brandon Faria, and many great-grandchildren. Her funeral service will be held Tuesday at 12:00 noon at the Auclair Funeral Home, 690 So. Main St., Fall River. Interment, St. Patrick Cemetery. Visitation, Tuesday morning prior to the service from 10:00 AM to 12:00 noon. Online guest book at AuclairFuneralHome.com.